Likely, every hammer or pry bar you’ve ever used traces its design or construction to Illinois-based Vaughan & Bushnell Manufacturing Co.
Vaughan & Bushnell Manufacturing Co. started in the 1860s as a small maker of hand tools and today represents the world’s largest manufacturer of striking tools, he says. To meet its global demand for hammers, hatchets and pry bars, Charlie says his company makes 10,000 tools a day, five days a week in the small town of Bushnell in McDonough County. Consumers can find Vaughan-branded tools at big-box retailers, such as Lowe’s, Home Depot, Walmart and Menards. The company also markets products at independent hardware stores, like True Value and Ace. 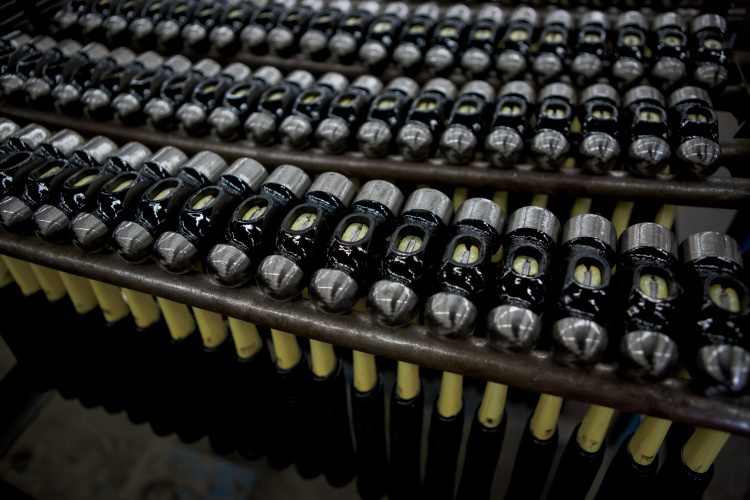 While most of its tools bear the Vaughan name, the company manufactures 25 percent of its tools under private labels, such as Snap-On and Stanley. In fact, Vaughan & Bushnell has made Craftsman hammers for 100 years. In the 1860s, Charlie’s great-great grandfather Alexander Vaughan moved to Chicago to open a blacksmith shop behind Sidney Bushnell’s hardware store. Whenever a store patron needed a custom tool, Bushnell sent the inquiry to Alexander. He proceeded to make one for the customer and one for the store to sell. After the Great Chicago Fire of 1871 destroyed both of their shops, the Vaughan and Bushnell families together went into the custom tool business and incorporated Vaughan & Bushnell Manufacturing Co. Since then, the Vaughan lineage has descended five generations from father to son: Alexander, Sanford, Howard Sr., Howard Jr. and now, Charlie. Such a lineage defies business odds. Only 3 percent of family businesses operate at the fourth-generation and beyond, according to the Family Business Alliance. The second generation of Vaughans bought out the Bushnells in 1922. Coincidentally, the Vaughans in 1940 acquired a manufacturing plant in the small town of Bushnell, where the company today manufactures 95 percent of its tools. New inventions, improved tool designs and a commitment to quality dot the Vaughan company timeline. 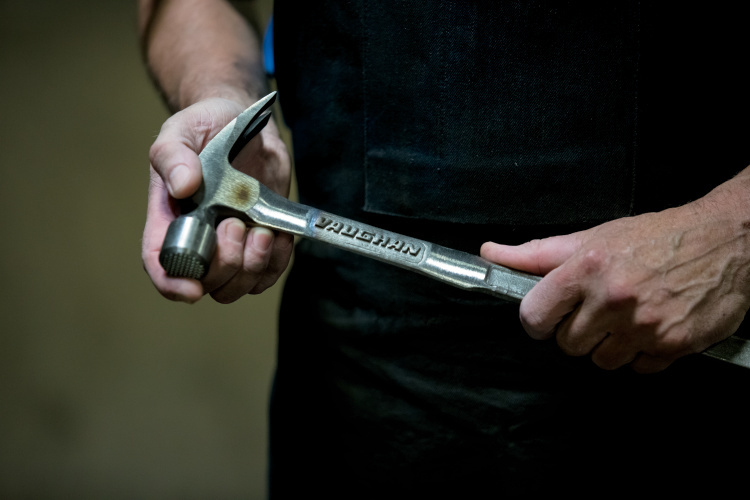 On hammers alone, the company assesses features that consumers may take for granted: balance, swing, hardness, handle designs and even forgiveness for an off-center strike of a nail. Along the way, generations of Vaughans modernized the manufacturing processes. They expanded the company’s presence internationally to diversify its market presence. The family established an administrative headquarters in Hebron in northern Illinois. They also bought a facility in Walnut Ridge, Arkansas, to manufacture tool handles. Charlie says the company constantly works to improve and predicts exciting opportunities in the near future. 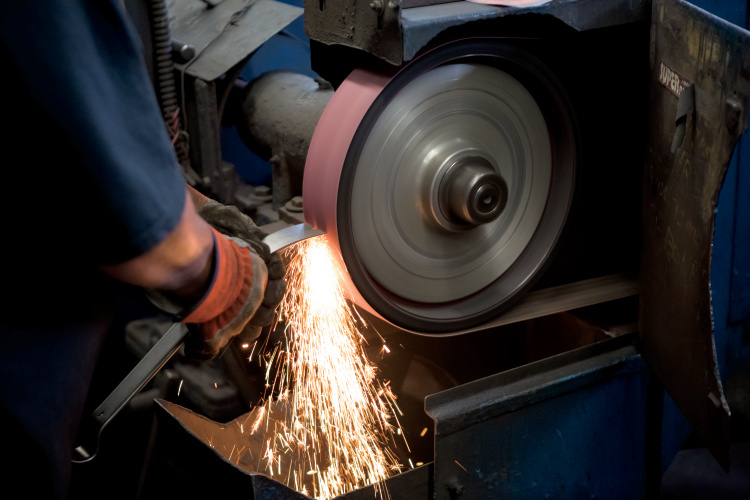 Every weekday, Vaughan & Bushnell Manufacturing employees heat chunks of steel and forge them into striking tools, a time-honored tradition aided by modern machines and generations of experience. The fifth-generation family business has employed up to four generations of employees at its facility in Bushnell. The “Bushnell” in Vaughan & Bushnell Manufacturing Co. refers to the Bushnell family, an early owner of the tool business before the Vaughans bought them out. Coincidentally, in 1940, the Vaughans acquired a manufacturing plant in Bushnell, home to its tool manufacturing. In 2016, Vaughan & Bushnell Manufacturing Co. introduced a line of 29 Vaughan striking tools that sells at every Lowe’s store nationwide. TagshammerstoolsVaughan & Bushnell Manufacturing Co.
Next Story → Retail Therapy at Beetz Me!